and caught me when I fell . . .
and wept when I did wrong . . .
taught me to be strong . . .
Who never slept so to comfort me . . .
Who will always be a part of me . . . 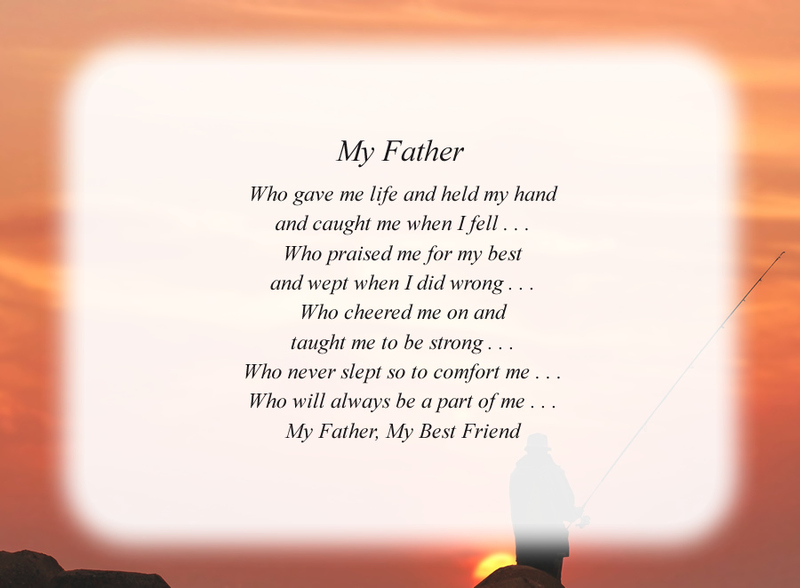 The poem, My Father(2), is free and printable by opening or downloading using one of the three links below.